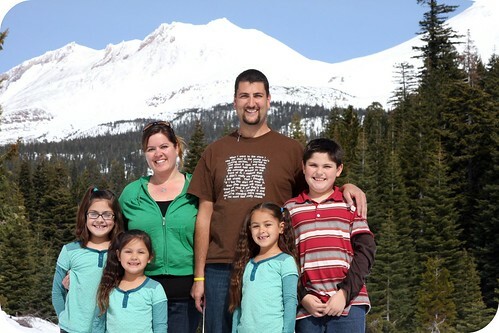 We decided last weekend to take the kids to the snow. Mt. Shasta. It was kind of a last minute thing so we were not prepared for getting wet. LOL The girls had on their mary janes, hence the wet socks. Jeans, which soak in the moisture and take forever to dry. Make for frustrated kiddos. You know, the I'm cold, I don't like being wet, My feet are itchy, LOL Cold feet made their feet itchy. But we didn't care, it was an adventurous family day out. Right? Yep and it was fun. 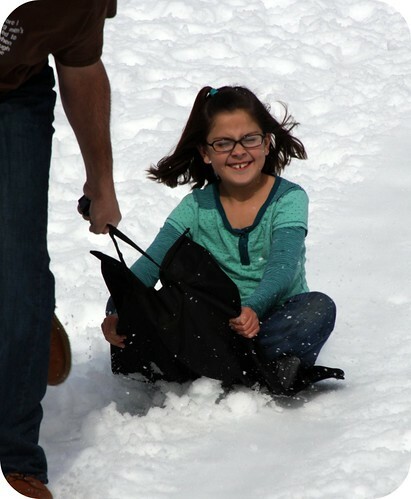 We had fun taking a few pictures and had fun playing in the snow. 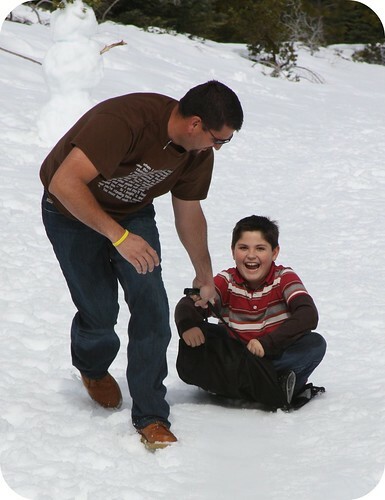 Making snow angels, snow ball fights, and a few sneaky moves on my hubby's part. He put snow, where snow shouldn't go. In my pants and shirt. Freezing! Oh, but I enlisted the kids and we got him back big time. 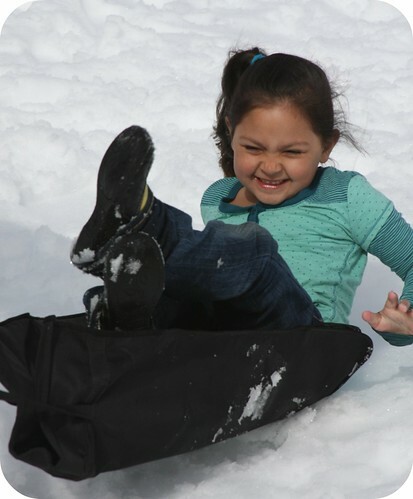 Then we, being the creative parents we are, pulled out the car seat protector as a sled, cuz we once again were not prepared and left the 2 sleds at home. Eeekk!! 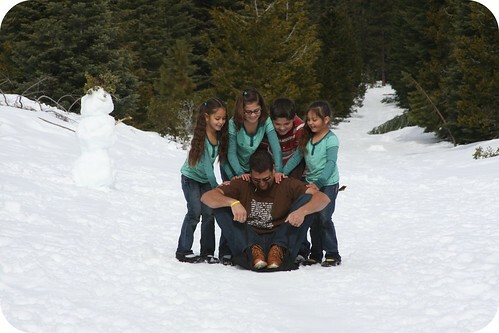 It was so funny watching my hubby try and get the kids down a very little hill. Hope you enjoy our family day to the snow. That picture of dad being pulled by the kids is completely frame-it-up-and-stick-it-on-the-wall category! DO IT. The girls look charming in their identical Ts. It must have been a fairly warm day, too. I notice no jackets! That would be awesome if we could do that here with all of our snow! Looks like a GREAT Family outing! My hubs is from Montana. When we got married I always wondered why he kept a box of clean socks behind the seat in the truck. Then we actually moved to Montana where it snowed prolly 9 months of the year. I understood the socks, and eventually started keeping my own stash. Looks like ya'll had tons of fun!